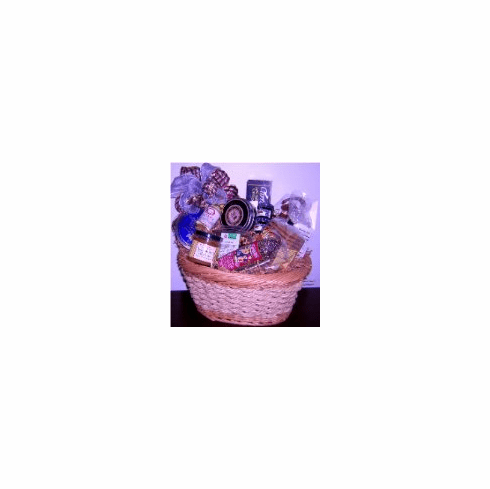 descriptionThis Gourmet Gift Basket is loaded with distinctive gourmet treats. This basket is packed with Mille Lacs Gourmet Cheese, Carrs water crackers, mix nuts, fresh bake cookies, smoky salami, Grained mustard, or Gourmet honey mustard, two jar of mini fruit jam, and a box of dark chocolates with coconut center. Enjoy the rich delicious taste of every gift yourself or send to love one, friend or business associate.